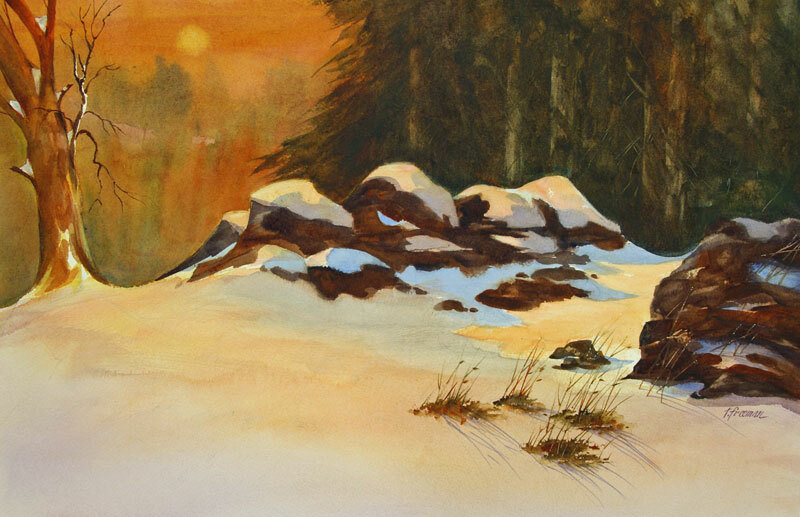 Thomas Freeman Original Watercolor Painting: "Sierra Winter	"
My son David and I used to go up to Silver Lake in the Sierra Nevada Mountains during late summer. This is a Silver Lake Winter scene, ironically painted in the summer. Dark forest and heavy blanket of snow, with a weak winter sun in the late afternoon.